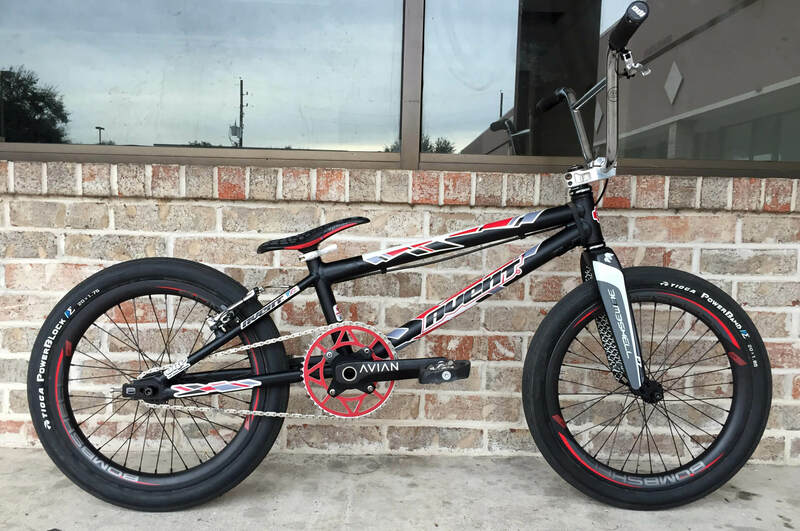 AA Pro, Tanner Sebesta, plans to hit all of this year’s UCI Supercross rounds as well as the USA BMX Pro Series on his newly acquired Avent/Bombshell rides. 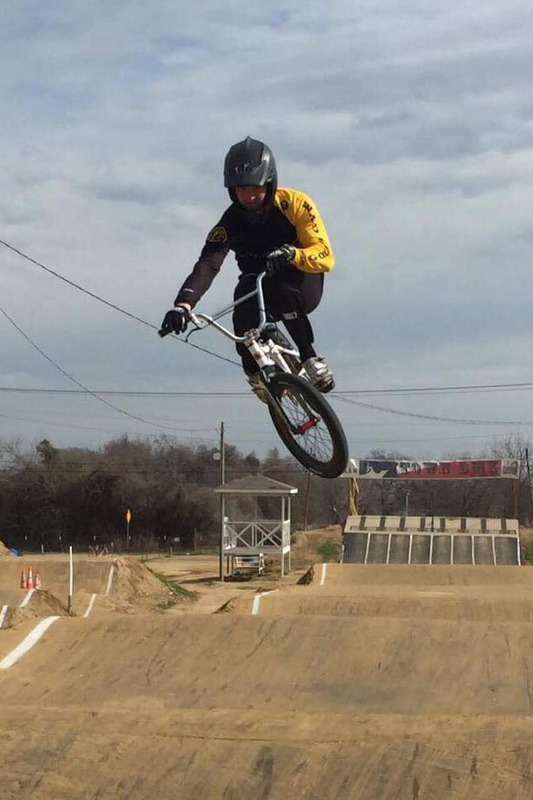 We caught up with the Texas native to find out about his new, post Stay Strong deal and to admire his new bikes. 15: You have just switched from Stay Strong to new sponsors, Avent / Bombshell and Gold’s Gym. How did the switch come about? Has it been simmering away in the background for a while now? Tanner: Gold’s Gym and Bombshell both spoke to me after the Olympic trials about 2017 sponsorship and both offered individual deals. By the end of the season with months of collaboration we all came to the agreement that the best offer for the company’s and myself was to combine the deals. 15: How do you like the new bike set up? Does it take you long to transition and feel comfortable on a new frame? Tanner: I decided to go to a 22″ top tube bigger frame for this season. The first ride on the new avent I immediately felt comfortable and adapted to the new frame with ease. 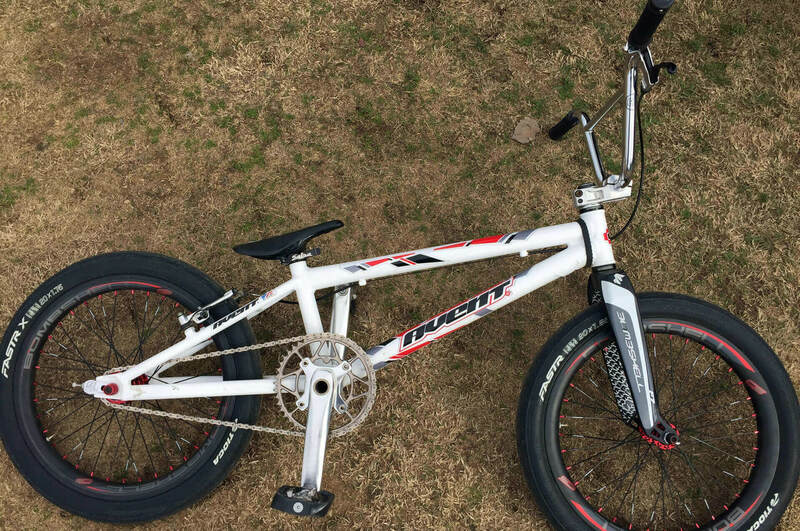 I really like the American made frame and its geometry, it reminds me a lot of the Redman and Ssquared I rode years back. Tanner: Austin Texas is my home base. 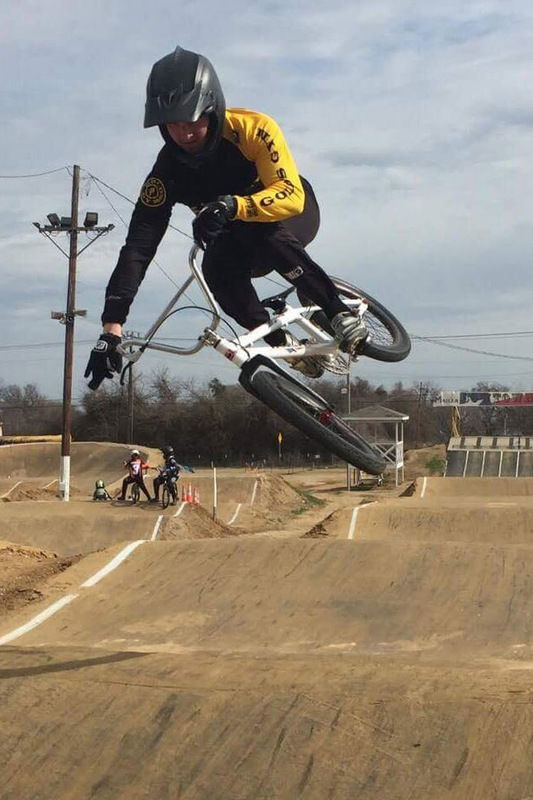 Central Texas BMX is my home track which is now a part of the USA BMX Pro Series. I’m looking forward to racing on my home track at the end of April. I do make my way out to Chula Vista regularly. Can’t beat the weather, tracks and competition on a daily basis out there. 15: 2016 seems like a long time ago now but how did the last season stack up for you, did you hit your personal targets? Tanner : 2016 was a disappointment. I expect better results from myself in the finals, gonna do everything it takes to make 2017 the best season yet. 15: Looking back on one of the big ones for 2016 … Olympic Trials … you where one of the only seven riders to go straight into the USA Cycling Olympic Qualification Race in Chula Vista. How do you deal with the pressure at an event like that with so much on the line? Tanner: The pressure I put on myself was indescribable. The next go round I’ll be more prepared and enjoy the opportunity more. 15: Is the 2020 Tokyo dream too far away to start thinking about just yet? It’s got to be a goal for you, right? Tanner: 2020 Olympics is ultimately what I am training for now. I just take it day by day and trust in the process. If all goes planned I’ll be there at the age of 26, Older, wiser, stronger. 15: It’s very tough to make the Olympics for the US due to the qualification system (UCI and USA Cycling) and with the depth of talent in the US Men’s field. If the UCI asked your opinion, would you change the qualification route? Tanner: The qualification system is pretty clear cut. Perform at the world cup events and you’re in. 15: Will you take a break now or are you full steam ahead for the 2017 season already? 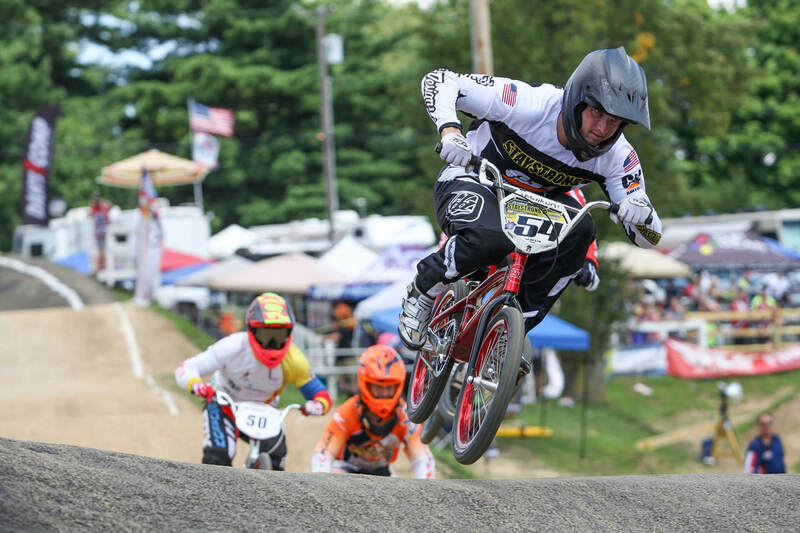 Tanner: I took 2 weeks off after the USA BMX Grand Nationals but have been training religiously since. I’ve been on the road bike a lot and in the gym building a new engine. 15: What are your plans for 2017? 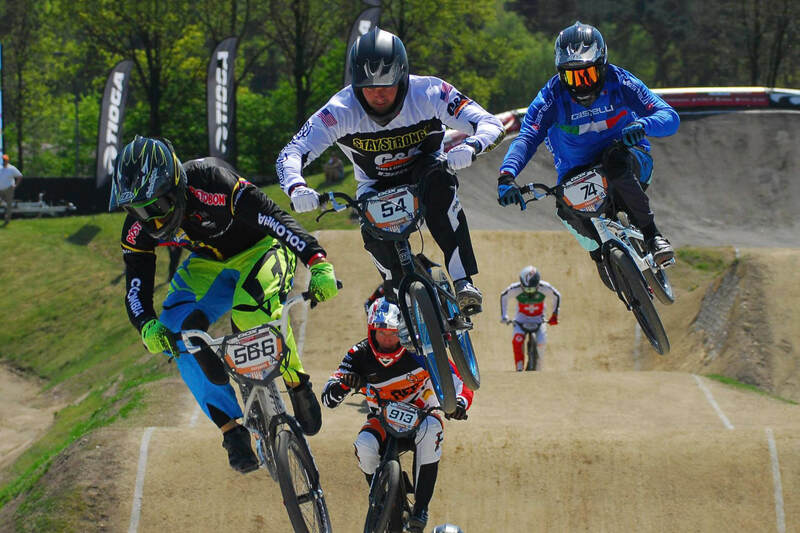 With the Olympics off the table for 2 years is it back to the business of USA BMX racing? 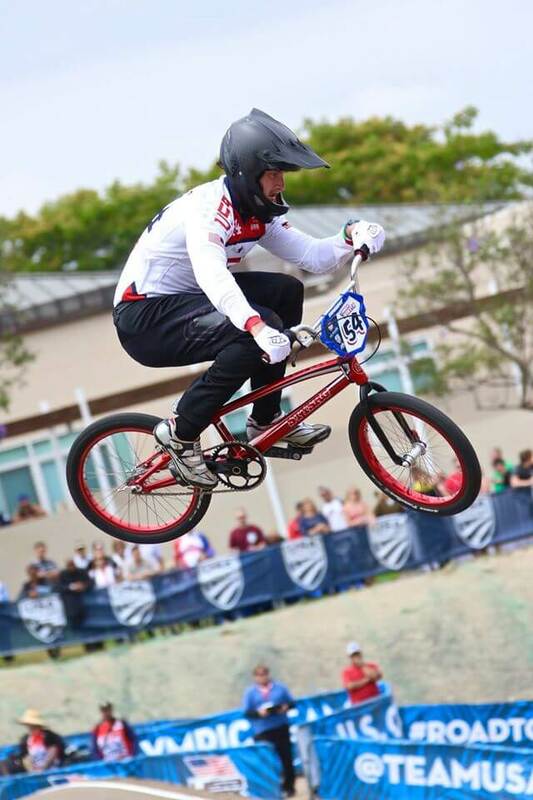 Tanner: My focus this year is on the USA BMX series and the World Championships. My goal is to make the final at the worlds, top 5 in USA BMX and top 16 in overall UCI points by the end of the season. 15: We assume you have the Worlds in Rock Hill locked into your sights, all you guys in the US must know the track like the back of your hand … it’s going to be tough to be selected for the US Team next year? Tanner: We have a criteria to make the team. Perform at the selected races and you’re in. Plain and simple. 15: What do you think of the UCI Supercross Calendar? No US races next year! Will you travel to any of them or will you be sticking to the USA BMX Supercross series in 2017? Tanner: I do like the 2 day races they implemented this year. I’ll be at them all! 15: Do you have a preference for the SX variety of tracks or the ‘regular’ type? Where’s your favourite place to ride? Tanner: I prefer the regular type tracks. I grew up racing on them and still to this day enjoy pull manualling and laying down horsepower rather than the hill creating speed. Don’t get me wrong I love SX but they are dangerous when racing … as you all know. 15: What advice would you give to young riders considering turning Elite / AA Pro? The commitment to training must be immense never mind the daily sacrifices involved just to be competitive. Tanner: I’d just tell them in order to be successful in anything in life you must believe in yourself. Find yourself a good environment to train in and a coach that you trust to set you up for success at the races.